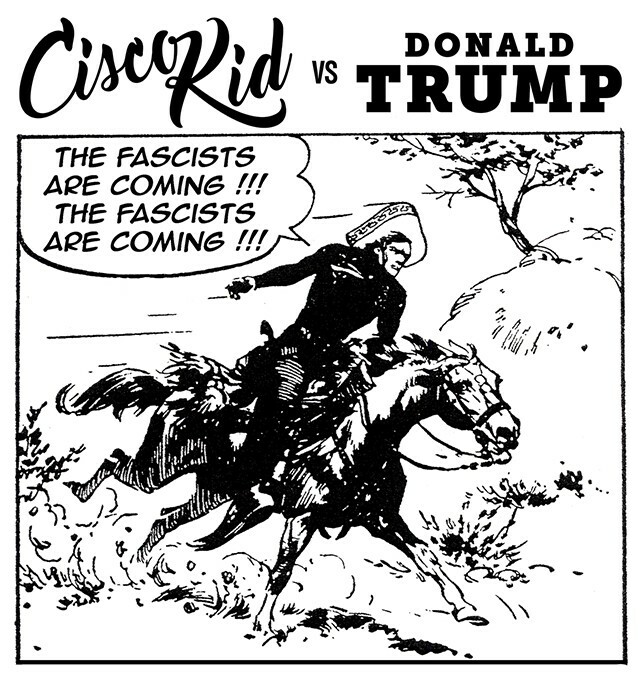 In the comic art series Cisco Kid vs. Donald Trump, the iconic Wild West hero tackles the most inadequate and appalling aspects of the current presidency. From April 5-May 3, the Irma Freeman Center for Imagination will host an exhibit of the series by artist Kosmo Vinyl. Vinyl started the series — which he calls an “Instagram installation” — in June 2016, after Trump secured the Republican nomination but before it was clear he could actually win. The Cisco Kid was a Western character created by writer O. Henry in 1907, but each piece in Vinyl’s series takes a panel from the Cisco Kid comic strip by Argentinian artist José Luis Salinas, which ran through the 1950s and 60s. Vinyl alters the panel, changing the text bubbles from dialogue about gunfights and womanizing to commentary on gun control and immigration. Vinyl describes Cisco as “the Robin Hood of the border” and chose him as a vehicle in part because, given that the popular The Cisco Kid TV series ran from 1950-56, there’s a fair chance Trump would have watched it as a kid. 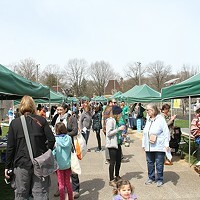 The appropriated panels feature Cisco and other characters reacting to issues. Some are vague, universal denouncements, while others dig into more specific policies. In one, Cisco announces “The fascists are coming! !” while riding his horse full-speed ahead. In another, he asks aloud, “Separating children from their families! How low can he go?? ?” It’s a striking image, seeing a character of the Western canon denouncing Trump, though the anachronism is overwhelming if you think about it too hard. Cowboys weren’t known to stand up for human rights. Then again, maybe things have gotten so bad that even they'd draw the line somewhere. He plans to continue the series for the foreseeable future, without thinking too hard about what an additional four years of the presidency would mean. He’s aware that there’s an over-saturation of information and commentary about Trump and tries not to repeat his points in the strip. “It is a long haul and you need to pace yourself,” he says.